Get the hardware you want, the way you want. We know why you’re here — you want the best available hardware to run your Point-of-Sale solution. The good news is that we’ve got just what you’re after. And, with our Portal Advantage© Lease you can get everything you need, all with one low monthly payment. The application process is simple, and the payment is low. Plus every lease comes with built in protection for all your equipment. 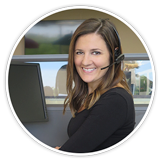 Whether you choose our Portal Advantage Lease or to buy your hardware, we're ready to assist you with getting your hands on the best hardware solution for your business. Still torn? Read below and put your mind to rest. Portal Advantage is the industry’s best leasing and protection plan, hands down. 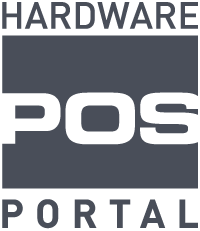 With Portal Advantage it’s easy and inexpensive to get the hardware you need. Here are the basics; apply online for instant approval, get the hardware you need, and make one monthly payment, plus get built in protection for as long as you have the lease. With a 2 year minimum term your lease payments stay low. Plus, for as long as you have the lease your equipment will always be protected. Included FREE is our SalesGuard Protection Plan—Continuous coverage for your hardware and FREE next business day replacement while enrolled. Keep your business up and running, always. Since you don’t have to pay tons of money upfront, you can get your new hardware up and running without draining the bank, or maxing out your cards. Keep your funds in-hand and use it for more important business needs. It’s as simple as it sounds. We make this easy and affordable, with one low monthly lease payment you get all the hardware your business needs. There’s nothing down, it’s easy to apply, and we always keep you covered. Portal Advantage includes SalesGuard©—an amazing protection plan that provides FREE next business day shipping on hardware replacements. There’s no reason to worry about what could go wrong. POS Portal has you covered. At the end of your lease you have two options. With our buyout option you make a one-time payment and all the gear is yours. Or, you can continue with your monthly payment and keep everything on your counter with the added peace of mind that you get with SalesGuard protection.